Original de Robert Platt (1930): Chile, train stopped near piles of lumber at Quitratúe. Lugar: Quitratúe en la Región de Araucanía, Chile. 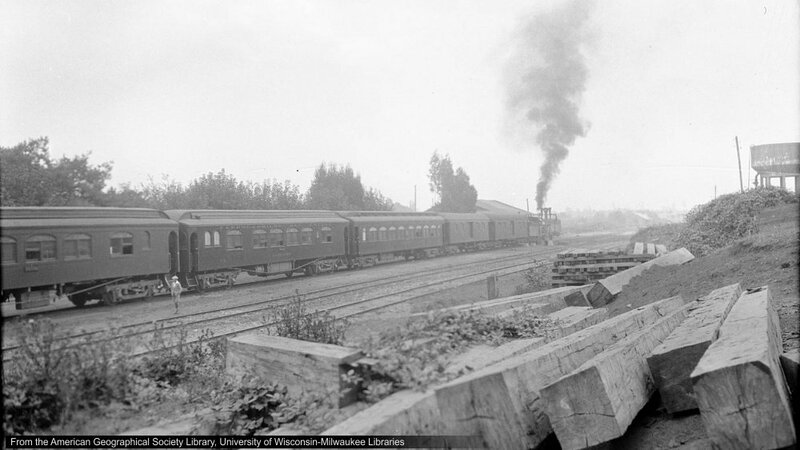 (©) American Geographical Society Library, University of Wisconsin-Milwaukee Libraries; Digital ID: pl005625.